My mom noticed my efforts, and took it upon herself to stock our little kitchen with its crowning jewel: a tostonera. 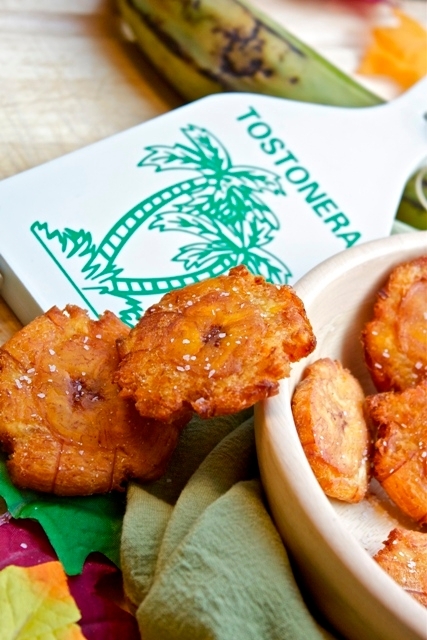 A tostonera is a device specifically designed to smash chunks of fried green plantains into crisp, golden coins, called tostones. And the fact that my mom was gifting me a tostonera was a really big deal, because this served as an informal invitation to join the culinary ranks of the matriarchs in the family. Just about every Cuban person who cooks has a tostonera, and now, I did too. I was so excited to put my tostonera to use, and at the first Hanukkah party of the season, I surprised my friends with a new treat. I figured that in many ways, Cubans use plantain bananas the way Americans use potatoes, so swapping traditional potato latkes with savory tostones seemed like a natural choice. As my friends oohed and aahed while they crunched their way through the small plate of tostones, I smiled with delight, because I knew I was on my way to earning my culinary stripes. 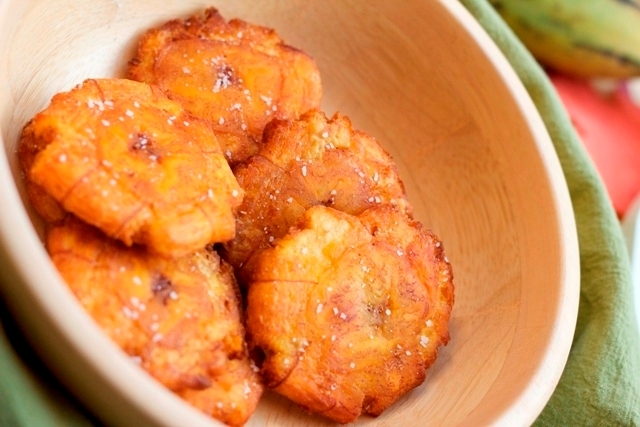 To test the oil temperature, carefully place a small piece of plantain into the oil. If the oil bubbles around the plantain, it is ready. If it doesn’t, continue heating the oil until it does.